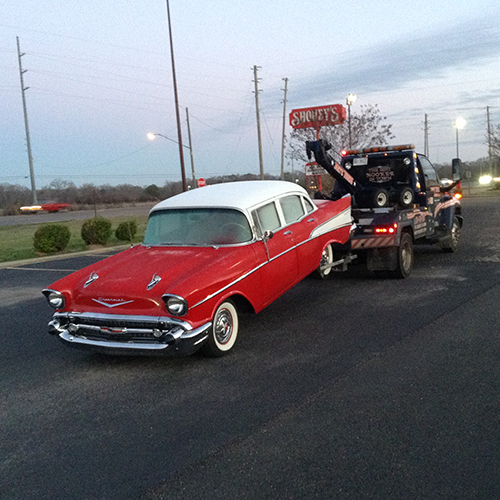 We are available 24/7 to assist you with all your towing and recovery needs. 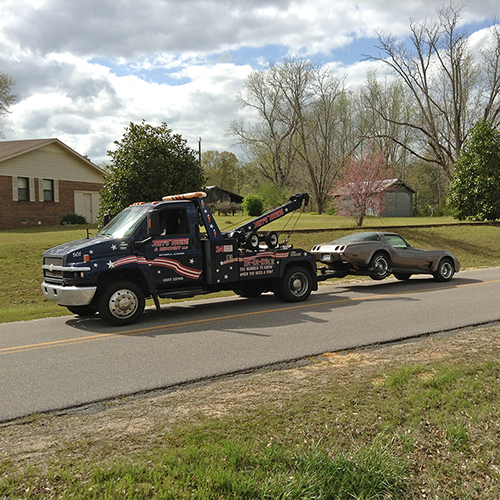 The number to know when you need a tow is (334) 430-8310. We can help! Call us 24/7 when you need assistance. We can get you back behind the wheel quickly! We can help with that too! Call us 24/7 if you need a boost. We'll have you back on your way in no time. 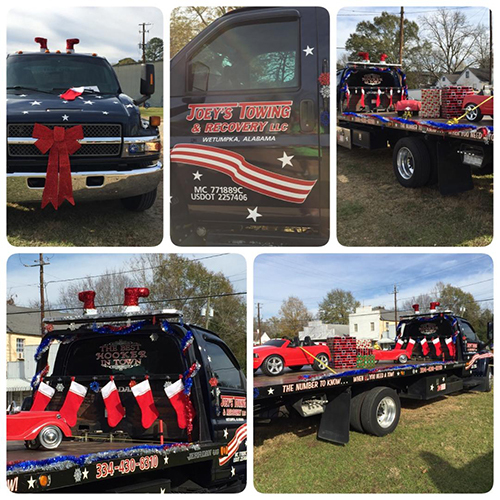 Joey's Towing & Recovery is a duly-recognized towing company operating in the Montgomery, Wetumpka, Prattville, Tallassee, Alexander City, and River Region areas - 24 hours a day, 7 days a week - including holidays. 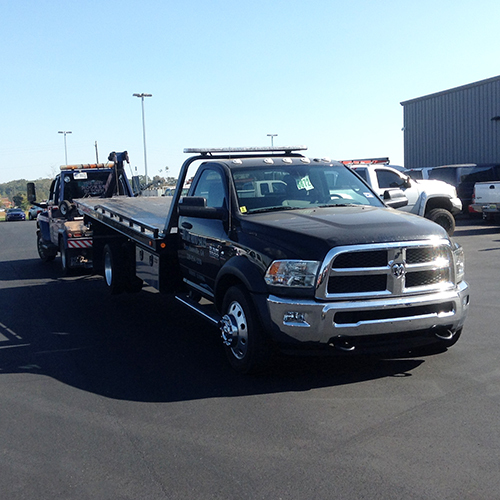 We offer all kinds of towing services for nearly all types of vehicles. We make sure that our customers’ needs are prioritized above anything else. 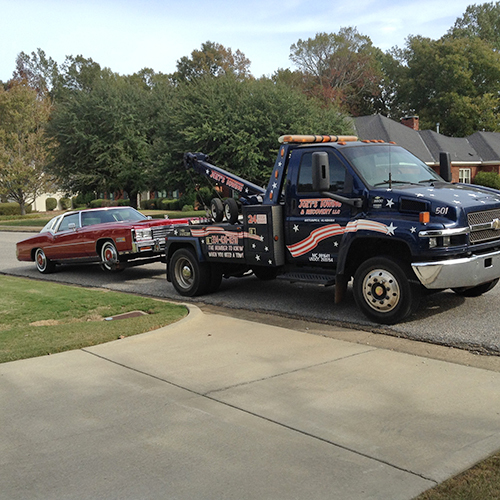 Joey's Towing & Recovery employs skilled and experienced tow truck drivers and technicians who are trained in a variety of fields, including towing, roadside assistance, and car locksmith services. We are available 24 hours a day all year round and can have our technician arrive at your location within a few minutes of your call. 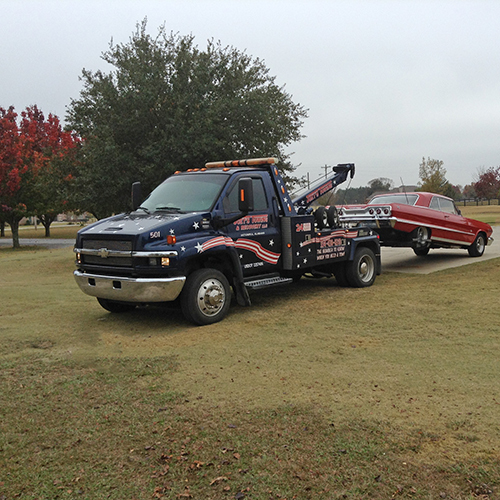 Joey's Towing offers a complete range of towing services in the River Region. Looking to tow vehicles in or around The River Region? Do you need a quick tire fix? Your car won’t start? You might be out of gas, but far from a gas station. Whether you require a jump start or car replacement battery, Joey's Towing & Recovery is committed to providing you with the most reliable auto towing and recovery services. We have all the right equipment for your needs. We perform regular check-ups, tune-ups, and maintenance repairs of all our equipment to make sure it's in top-notch condition for dispatching all over The River Region. We also guarantee that our tow trucks are of high quality, so no need to worry about experiencing any disturbances or interruptions during your towing experience. We tow using wreckers, flatbeds, and dollies, and we tow all kinds of vehicles including sports cars, hybrids, smart cars, trucks, trailers, minivans, and SUVs at highly affordable prices. Here's a list of services we can provide you. Any time day or night, you can count on our expert drivers. All the technicians we work with are fully licensed, bonded, and insured and maintain years of experience in the towing industry. Customer satisfaction is a number one priority and our drivers strive to provide the highest quality work and auto care to our clients. For more information about our services, call us now! If you’ve recently used our services, we encourage you to give a testimonial or review of them. We appreciate all of the customer feedback we get. 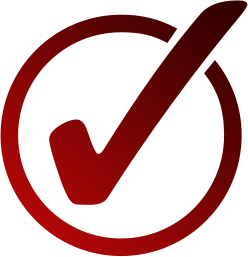 Call us anytime, day or night at (334) 430-8310. 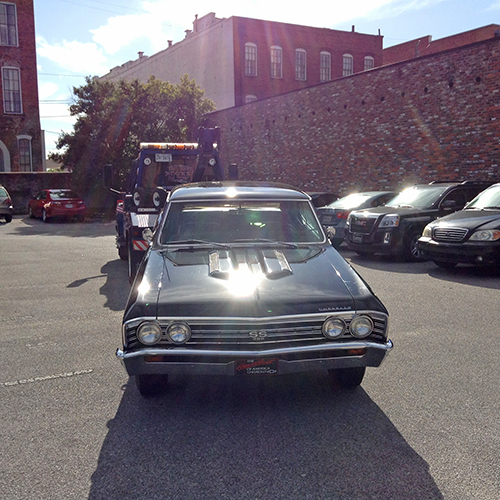 You can expect expert towing and knowledgeable technicians to provide outstanding service at competitive rates. Joey and his staff have always been prompt in coming to the rescue. Everybody is more than willing to help. I have always reached them, by phone, within the third ring. His pricing is very competitive, his drivers always pleasant, polite and respectful. He is the only towing service I will call. I use Joey's towing on a weekly basis due to my job. FAST, FRIENDLY, PROFESSIONAL towing service! I highly recommend Joey's Towing and Recovery. Excellent, prompt and professional service, courteous driver, damage free tow, I will definitely use him again.